An Ordinary Citizen's Training Year in Review and Plan | Eagle Gun Range Inc.
As many of you know, I’m an avid firearms-training enthusiast and spend several days each week at gun ranges, indoor and out. I thought here that I’d do a bit of a 2018 review and then describe some plans for 2019. Firearms training can sometimes be lonely and/or tedious, and I often seek useful insights or inspiration from others who are on the same responsible path. My hope is that those of you who are taking up firearms training or planning to do more this year might find this examination useful or inspiring. Of course, the foundation of individual practice comes ONLY from quality instruction received in classes or lessons with skilled firearms and defense instructors. Otherwise, regardless of what you think you know, you have no idea what or how to train on your own. Therefore, please hold that idea as the context from which all my thoughts here are presented. This is not a lesson, it’s just an article. I keep detailed records of my ongoing training and rounds-fired for all my firearms. 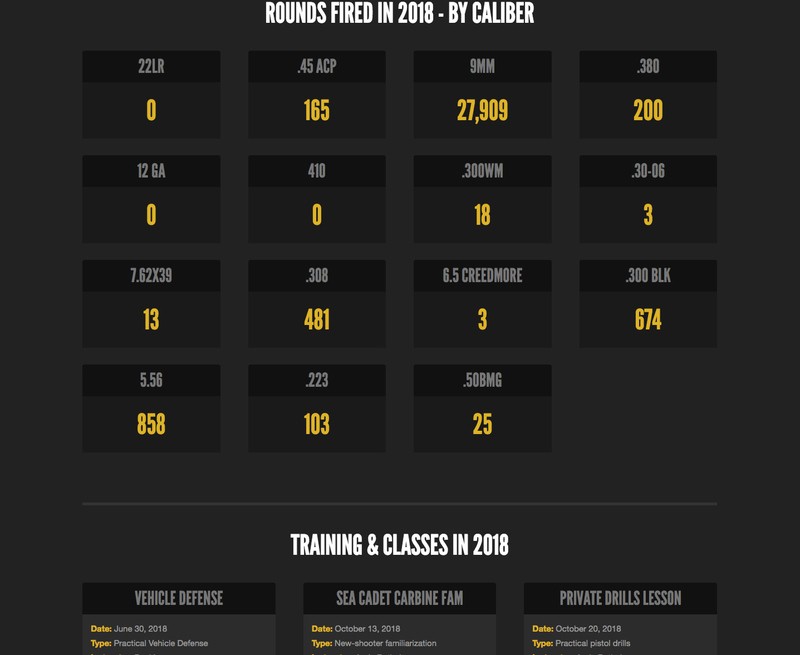 In 2018 I fired 30,452 rounds in training and competition. This was fewer rounds than the previous year, which was fewer than the year before that. As I reflect on my ongoing training, this is a trend I’d like to continue. I participated in only 4 pistol matches and only 3 classes in 2018. That’s the least I’ve done in years. 2018 was a bit of a turbulent year for me personally and my attentions were drawn elsewhere. I look forward to a more active 2019, especially with regard to course participation. As is normal, I spent most of my training attention focused on my EDC pistol, either working on precision fundamentals or defensive drills and manipulations run from concealment. As an everyday carrier, unless I’m shooting some different pistol for a review article or working with my rifles, I train almost exclusively with the pistol I carry every day, using the clothing and EDC loadout I use every day. One of the things not reflected in my training records is the time and reps spent in dry-fire training. I do this in a few ways. The basic methods involve my EDC carry gun (Glock 19) and a magazine or two of snap caps. 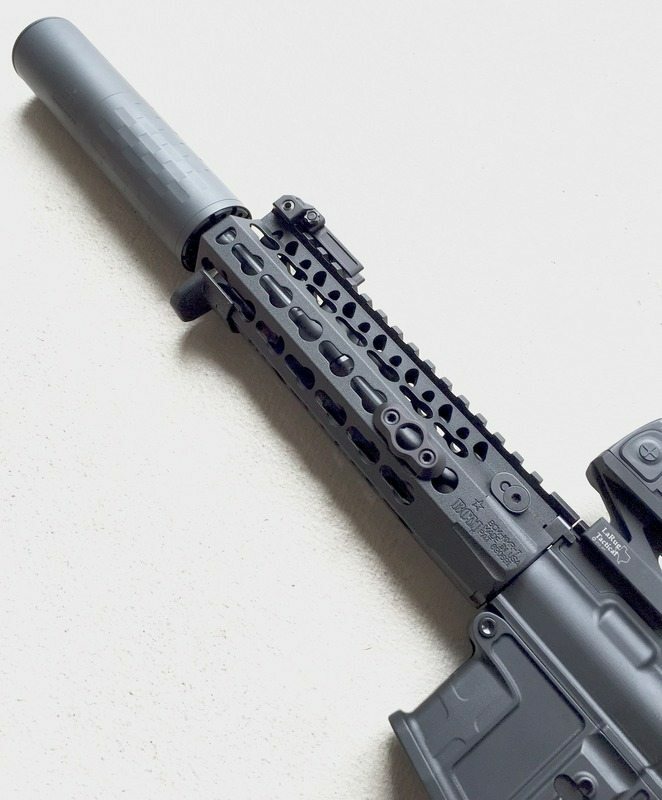 I will do dry-fire practice either for trigger-press mechanics—where I’m just sitting or standing still and carefully aiming and slowwwwwwwllly pressing the trigger in proper fashion—or with dynamic movement and/or drawing from concealment and executing dry shots at various targets. The other method of dry-fire that I began in 2018 is with my exact-replica G19 airsoft blowback pistol. With this tool, I can engage in dynamic drills in my personal indoor range (my garage!) and practice the no-recoil shot of an actual projectile for accuracy, but with the mental stimulus of the sound of breaking the shot along with the slide cycling. I find it very effective and, also importantly, very engaging. In any event, in 2018 I engaged in dry-fire practice once or twice per week. This year I plan to make better use of fewer rounds than in 2018. I want to do this for a few reasons. Firstly, ammo is expensive, so I’d like to decrease my training-ammo budget a bit each year. Secondly, with now well-established pistol fundamentals I don’t need to spend so many rounds on my all of my pistol skills, but rather more specifically on pistol-skill weaknesses. I can spend fewer rounds maintaining strengths. Lastly, I want to spend more time and rounds with my rifles this year. Another component of pistol training is that I want to devote more time and attention to dry-fire practice in 2019. It costs far less, and I understand that it pays significant dividends toward live-fire ability. Win-win. Another primary goal for 2019 is that I want to get back into the habit of regularly receiving instruction in classes. I took eleven classes in 2017, but only three in 2018. I’d like to more than double my 2018 total this year. I enjoy competition and would like to do more of that in 2019, too. I find that pistol competition is a useful and instructive measure of my ongoing training, for if I find it difficult to execute in a match, chances are that it’d be even worse in an actual defensive situation. Also, matches are a good place to explore limits, which allows for more focused training sessions afterward. I haven’t tried a rifle or 3-gun match yet. Who knows, maybe I’ll ease into that, too. Overall, I’d like to become more efficient in my 2019 training. With more attention devoted specifically to weaknesses (1-handed competence, left-hand competence, rifle speed reloads, etc…) While I’m already pretty serious at the range, I hope my 2019 training becomes more like work and less like messing around. I hope you found this examination useful. If you’re a responsible, ordinary citizen and especially if you carry concealed, I hope you might conduct your own similar assessment and make your own specific plans for 2019 with the aim of becoming better skilled, more broadly skilled, or even just better a one specific skill. As I often tell my friends, “Trained in the use of firearms” is fantasy. There is not “trained.” There is training, else there is some level or another of incompetence. So keep up your training, but if it’s not taking you where you want to be, change it up! If you always do what you’ve always done, you’ll always be what you’ve always been. Okay, I think that’s enough maxims for one post. Happy New Year and good training in 2019!